Of all of Facebook’s sundry viciousnesses, perhaps the most subtly cruel is their new-ish reminder feature. You know the one. 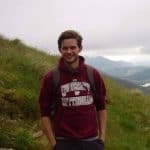 The cheerily perched picture on your news feed – top billing, so it’s always the first thing you see – chirruping merrily that this time last year or two years ago or in 2010 you were doing something fun with interesting people. What possessed some Silicon Valley ne’er-do-well to think that that was what I wanted to see when strapped to the office desk or perched on the porcelain I couldn’t begin to tell you. And let’s be honest, those are the only times anyone actually goes on Facebook. I mention all this, because I’ve spent the last fortnight being reminded against my will that this time last year I was in Australia, being as unproductive as humanly possible in (mostly) stonkingly good weather. My sister was out there for a year, for reasons best known to herself, and the seniors and I had reckoned that to be a decent excuse for a holiday. Personally I had apprehensions beforehand. All animal-related, naturally. In the event, they turned out to be unfounded; the monstrous beasts with teeth didn’t reckon me worth more than an amuse bouche, and the evil, crawling, sneaky, miniscule ones full of bile and venom recognised a kindred spirit. My mother had blueprinted the trip down to the second, as a master tactician minutely plots a campaign. But naturally I, the low-ranker at the back, stuck my grubby finger in the air and demanded a reconnaissance trip to Tasmania. Because whisky. Unfazed by subordinate fractiousness, Field Marshall Mother pushed the pieces round the map, redeployed the troops and slotted in a one-day assault on the island. Which, it turns out, is probably the single best place in the world. And yet, on returning to blighty, my suitcase was not creaking with bottles unfindable in England’s green and pleasant. Not because I didn’t fancy them, nor because I had necked them over the fortnight Down Under. But because Australian whisky is too bloody expensive. It isn’t news that Australia makes whisky, much as stomach-curdling headlines from ignorant mainstream publications would have you think it is. (“Somewhere besides Scotland makes whisky! Can you Adam-and-Eve it?” etc.) Much is made of their 2014 ‘Best in the World’ award, and of the twenty-odd-and-growing number of distilleries on Tasmania alone; rising to ninety-plus when you take in the mainland (though a portion of those don’t make whisky). The thing is, they’re tiny. Not Scotland tiny. Not even Sweden or England or craft USA tiny. We’re talking men-and-women-in-sheds tiny. With a kettle and a can-do attitude you could match their annual production in your kitchen. When I went round The Tasmania Distillery (where they make Sullivan’s Cove) they told me that they filled 18,000 bottles a year. And that doing so made them the second biggest distillery on the island. 18,000 bottles a year. That’s nothing. That’s a mind-bogglingly miniscule pint-sized puddle of whisky. Highland Park would belch out more than that for an expression and slap ‘limited edition’ on the bottles. And this is the second biggest in Tasmania. The second biggest. Economies of scale being what they are, all this small-scale craftiness adds up to some pretty wallet-slapping bottle prices. Well over three figures sterling, whatever that adds up to in Australian doubloons. And once all the costs associated with trebucheting them across two continents and an ocean are slapped onto the bill, anything that makes its way onto this sceptred isle’s sceptred shelves is generally off-limits to anyone who doesn’t come with their own sceptre. 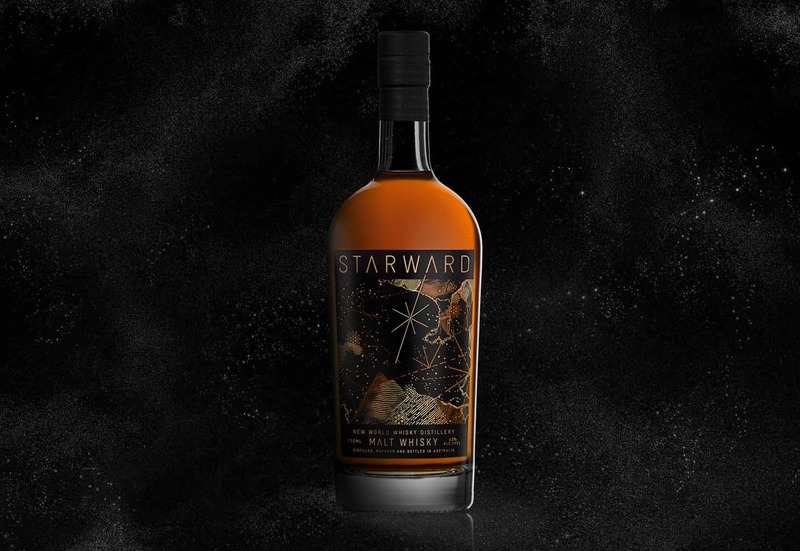 Starward is made at The New World Whisky Distillery, which isn’t, in fact, Tasmanian (or ‘Tassie’, in cool Australianese). They’re based in Melbourne, which is about as far south as you can go in Australia without getting wet. Their standard bottling’s been doing the UK rounds for a couple of years now at about £45-£50, which initially put me off, because it’s about half the price of the next cheapest. What’s wrong with it? I wondered. And then I tasted it. “There’s nothing wrong with this – it’s bloody brilliant” I said. I even sent some to Mark. “There’s nothing wrong with this – it’s bloody brilliant” he said. And then he posted a review, and didn’t even give me a credit. Whatevs. I’m not bitter. As you’d expect – or hope, given they’re on the doorstep of some of the world’s tastiest vino – Starward make much of their use of ex-Aussie-wine casks. The flagship does its time in ex-Apera, which is what Australians legally have to call their version of sherry, and they’ve a red wine (Shiraz) cask edition knocking about which is also worth a sniff. The one my soul really cries out for is the ginger beer cask edition, but the Antipodean meanies keep that one all for themselves. Unexpectedly, however, they’ve let us have some of today’s. It’s the 10th Anniversary Edition, which is a vatting of 28 casks comprising all eight of the cask types used across the distillery’s history. (Though not ginger beer, as far as I know). A big gracias to Andy from Starward, who kindly gave me a bit of info on the constituents. I couldn’t get a complete peek behind the curtain, but the headlines are Apera, red wine, and lots of PX from Jerez, in different sizes of cask. Cut down to 52% of fun and games – 9% higher than the standard-issue. Let’s see if it’s worth the extra shekels. On the nose: Bingo! Sherry bounds out of the glass like a crack-addled Kangaroo. And what sherry! Indulgent, hedonistic, bowl-scraping, finger-licking chocolate sauce and black cherry compote and fig and raisin and the kind of sticky-toffee pudding that’ll cause arterial collapse at a single glance. But – crucially – hoisting all that sherry up is a robust, hearty malt. Sponge cake and dunnage warehouse. Wood flickers and kisses; a rapier, rather than a bludgeon. In the mouth: Palate’s even better. An unctuous, oily, mouthcoating, eyeball-rolling, balls-to-the-wall-ing joy of a thing, with enough oak and booze to keep the structure firm and controlled. PX-soaked sultanas, golden syrup and a little tang of balsamic vinegar. Glossy flapjacks with blackcurrants and blackberry jam. A teensy touch of menthol lift. The whole thing gradually fades to drier walnuts and wafers. A riot of flavour. Cask vatting par excellence. In an inversion of the standard, the palate’s actually better than the nose. And the nose is still a beaut. Give me this Melbourne 3 year old over some cringing, apologetic, flavour-shy milksop that’s spent 20 years in 5th-fill bilge any day. This is what happens when great malt goes into great casks. Clean, clear, bold, booming flavours that just make you happy you’re drinking them. This is a whisky that’d make a Dundonian sing zippity doo dah; a pour that’d cause a Times columnists lips to twitch momentarily upwards. (Though only if you didn’t tell them it was Australian beforehand). It still ain’t cheap, but let’s bear in mind that this is a one-off special edition that still costs the same as the next-cheapest Aussie brand’s entry-levels. If you have £80 to spare, are a fan of the likes of Glenfarclas, and don’t pick up one of the very few UK bottles available, you have quite simply missed a trick. Langa-who? Australia needs Starward. 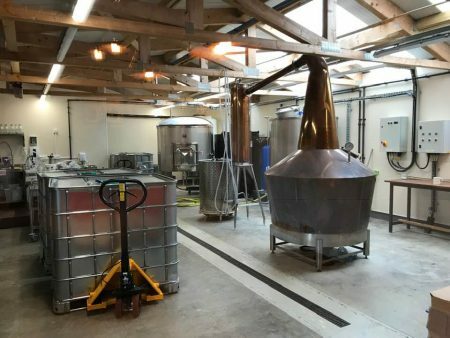 A distillery with the production capacity to bring great whisky – a range of great whiskies – to the table at prices that can be met by non-oligarchs. And which still cares about every step of the process. Don’t get me wrong – the tiny operations are wonderful, inspiring, innovative places, and the whisky they make is often exquisite. But it’s time for a few bigger fish to swim in the pond. After all, it’s all well and good being rated ‘World’s Best’, but it’s slightly academic if no-one who really cares about whisky can afford to drink it. And I still wish Facebook would shut up about last year. It’s winter here, and I’m cold. Sounds delicious, just pulled the trigger -never had an Aussie whisky before . Hope you enjoy it! It’s gorgeous stuff – you’d never guess the age. Here’s hoping a few more of Australia’s brilliant whiskies soon come in at that sort of price. Nicely put together Adam thank you!